Kathleen Hicks is senior vice president, Henry A. Kissinger Chair, and director of the International Security Program at the Center for Strategic & International Studies (CSIS). She is a frequent writer and lecturer on U.S. foreign policy; national security strategy, forces, and budget; and strategic futures. Dr. Hicks previously served in the Department of Defense as principal deputy under secretary for policy, a Senate-confirmed position with responsibility for assisting in the development and oversight of global and regional defense policy, strategy, and operations. She also served as deputy under secretary of defense for strategy, plans, and forces, leading the development of the 2012 Defense Strategic Guidance and the 2010 Quadrennial Defense Review and crafting guidance for future force capabilities, overseas military posture, and contingency and theater campaign plans. Dr. Hicks was a senior fellow at CSIS from 2006 to 2009, leading a variety of national security research projects. From 1993 to 2006, she was a career civil servant in the Office of the Secretary of Defense, rising from Presidential Management Intern to the Senior Executive Service. Dr. Hicks received numerous recognitions for her service in the Department of Defense (DOD), including distinguished awards from three secretaries of defense and the chairman of the Joint Chiefs of Staff. She also received the 2011 DOD Senior Professional Women’s Association Excellence in Leadership Award. Dr. Hicks was a presidentially appointed commissioner for the National Commission on the Future of the Army. 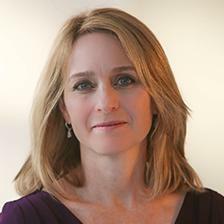 She is a member of the Council on Foreign Relations and serves on the Boards of Advisors for the Truman National Security Project and SoldierStrong.